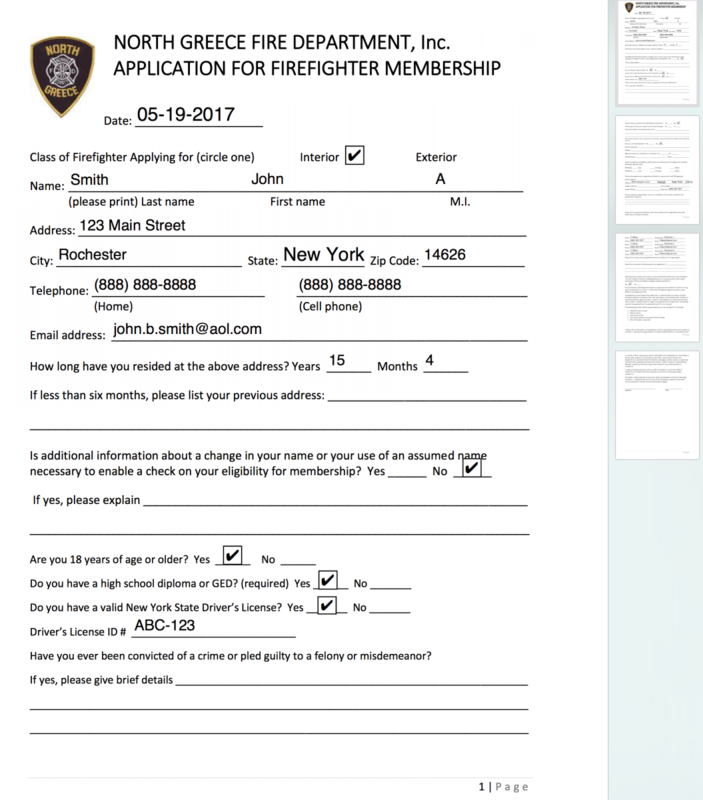 Our client, North Greece Fire Department, wanted a way for people to apply for their volunteer program online. The management said that submissions need to be on their 4-page volunteer application. Instead of abolishing the online submission, we combined the best of both worlds – the ease of submitting an online form, and still following company protocol by having that data populate dynamically into a PDF.